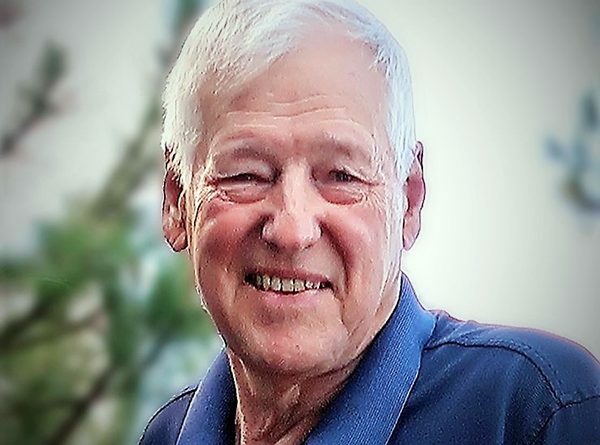 Daniel E. Kohler of Plover died peacefully while surrounded by his loving family on February 9, 2019, at the age of 72. Dan was born on March 10, 1946, in Neenah, to Elmer and Dorothy (Sauer) Kohler. He was a graduate of the University of Wisconsin—Stevens Point with a Bachelor of Science in Forestry. He worked in forestry for a short time, but later changed career paths embracing his gift of gab in sales, and eventually started his own sales brokerage business in general merchandise. Dan married his best friend Pat, and together they celebrated 50 years of marriage in 2018. He was a dedicated family man to his two daughters and five grandchildren. He was a master storyteller, and the engineer of many memory making activities for his family and friends. He could strike up a conversation with anyone, anytime, and was a fast friend. He was a mentor to not only his kids and grandkids, but also to friends and strangers alike. Dan was an avid sportsman, and he was passionate about conservation and the great outdoors. He loved hunting, fishing, hiking, biking, snowshoeing, and gardening. He joined the Izaak Walton League conservation club in 1986, serving as chapter president from 1994-95 and 2001-02. He also served as the chairman of stream improvement 1987-2018 and as the chairman of forestry 2008-19. He enjoyed sharing his knowledge with others including teaching fly tying, archery, and hunter’s safety. Dan will be deeply missed by his wife, Pat; daughters, Gretchen (Karl Clough) Kohler and Heather (James) Patzer; grandchildren, Austin, Isabel, Joshua, Evan and Wyatt; and his siblings, Barbara, Ann, John, and Deborah. He was preceded in death by his parents and his siblings, Caroline, David, and Gary. We invite family and friends to a celebration of Dan’s life on Wednesday, Feb. 13, 2019, at Boston Funeral home, 1649 Briggs St. Stevens Point. Visitation will be held from 10 a.m., with a celebration of life service at noon. In lieu of flowers, donations can be made to the Salvation Army. We would like to thank Ministry Hospice—especially Patty, Stephanie, and Gretchen for the loving care and support they provided to our family.